Southern Kaduna indigenes staged a protest against the genocides in Kajuru, Sanga and other areas in the region at Unity Fountain, Abuja. 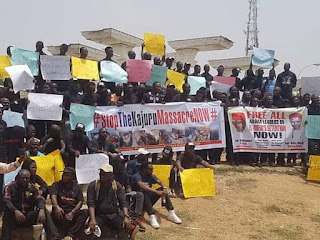 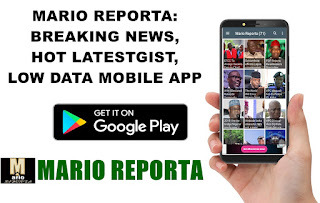 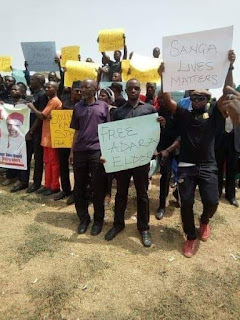 The protesters demanded for the release of 9 Adara leaders and elders who were arrested and detained in prison by the Elrufai led state government.They are also called for an end to the lingering genocides. 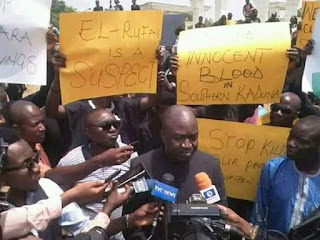 Both foreign and local media were on ground to cover the protest.